When the heat is beating down and you need a pick-me-up, the Odlo Ceramicool Pro BL crew neck singlet is the ideal baselayer for the job. Specialised Ceramicool technology is proven to actively cool the skin by up to 1°C through hot summer activities. A racerback cut with an athletic fit feels secure and lightweight on while a high level of UV protection keeps the sun’s rays at bay. 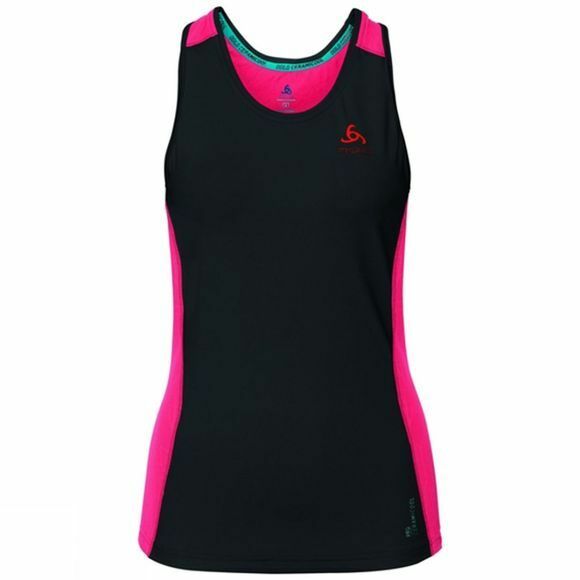 Get a stretchable, comfortable and heat-beating baselayer in the Ceramicool Pro BL crew neck singlet for women.